Having to venture into Stratford, London yesterday on business, I managed to have a quick walk around the Olympic Park between meetings. 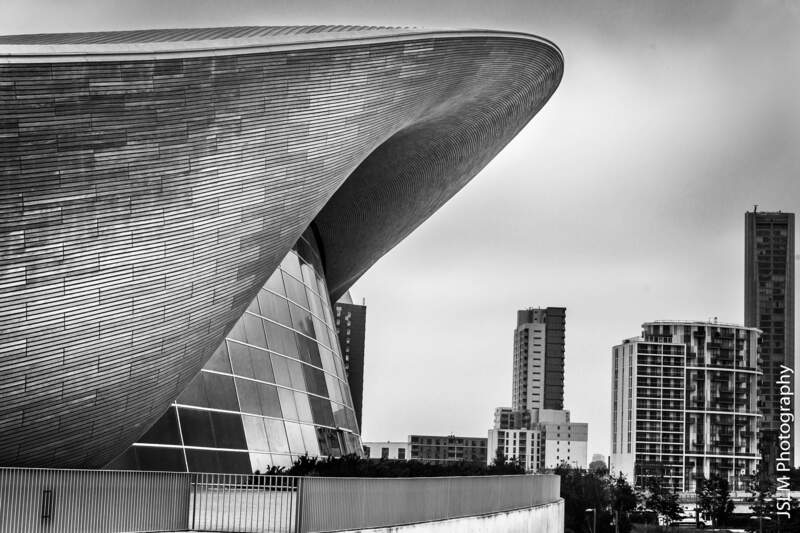 The regeneration of the area from the Olympics has been inspired by angular buildings. These are in stark contrast to the curvature of the buildings built for the games back in 2012, in particular, the Velo park and the aquatics centre. I also thought that so show off the contrasting angles and curves, black and white was the order of the day, especially when it came to the inside of the Velo park!